Our online website, Projector Square has a plethora of brands of projectors for our customers from which they can choose from as per their convenience. If you are a resident of Dubai, Abu Dhabi, UAE, Kuwait, Jeddah, Riyadh, Saudi Arabia, Muscat, Oman, Doha, and Qatar, we have some good news for you. Our online site, Projector Square now will deliver to your doorstep! 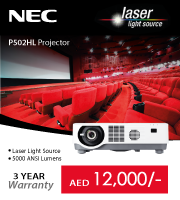 Investing in an NEC projector would be the perfect idea for any business or marketing job. Their flawless functioning with great technological advancements enables them to have a superior resolution when compared to their contemporary competitors. This is reason enough to buy them. 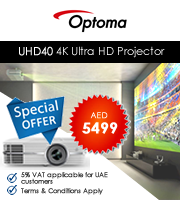 If you decide to buy these projectors online, buy them from our online site because we are offering amazing and offers for our customers. If you have any queries regarding our online products, you can write to us. If you live in Dubai, Abu Dhabi, UAE, Kuwait, Jeddah, Riyadh, Saudi Arabia, Muscat, Oman, Doha, and Qatar, call us at +971 4 4327846.